SonoTone strings have outstanding tone, playability, and durability to boot! Based out of Los Angeles, CA, Johnny Hawthorn has been amplifying his reputation as a world class guitar player and songwriter. Originally from Philadelphia, PA, he came to Los Angeles as an eager player and immersed himself in the music scene. 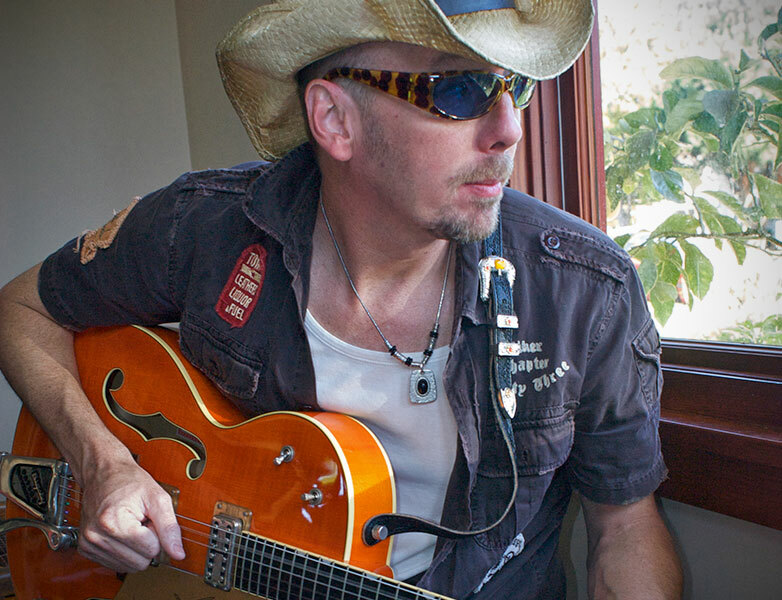 With his versatility on guitar, lapsteel and mandolin he became the “hired gun” in town and has played and recorded for numerous local and national bands. “Pawn Shop Tattered Heart” is the 3rd CD produced & engineered by Charley Pollard with guest appearances from Gregg Bissonette (David Lee Roth, Ringo Starr all star band), Matt Bissonette (Elton John) and Arthur Barrow (Frank Zappa). This collection of songs is more rock based and brings the bands sound into a new sonic space. It received the GUITAR PLAYER MAGAZINE’S “Editors’ Faves” for July 2014 and received a glowing review from Matt Blackett who said, “…there are riffs and melodies that will surely appeal to fans of Aerosmith, The Eagles, and Led Zeppelin“. Touring with acts as a hired guitar player and recording –Toad the Wet Sprocket, Everclear, Grant Langston, Ernest Troost, Calico the Band, Amelia White, Shane Alexander, Lenny Goldstein, Debby Holiday – Johnny has also written and produced songs for other upcoming artists and produced exclusive, world-class music for television, advertising, and film.